Hello. If you listen to one episode of Speaking of History this year please make it this one. Tonight I'm talking about something you can do with your family this holiday season that you and your children will be glad you did years later. 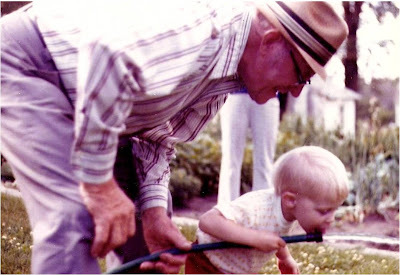 I know because my dad did this same thing back in 1977 when I was 6 years old and I'm very happy today that he did. This is a podcast about the power of story and a suggestion that I give you this holiday season. My grandfather - Henry C. Langhorst (second soldier as you look right to left) in the trenches of World War I. The machine gun on the ground in front of the group was his. Hello. Today we spent the day home from school due to the Midwest ice storm. We did not get it as bad in Kansas City as others but we did lose power for a while this morning. Here are some pictures from the storm. The top picture is from our historic downtown square in Liberty and the bottom picture is the view outside of our window today. Hello. Today's podcast is a description of how I teach the Corps of Discovery to my 8th Grade American history class. I recieved an e-mail question from Jessica in Illinois asking me to describe what type of activities we do in class and I thought it would be a great topic for a podcast. The picture you see above is me dressed an reenacter clothing as a member of the Corps of Discovery. The student in the picture is one of my students from this year who just happens to be the great, great, great, great, great granddaughter of William Clark - honestly! Her family often attends ceremonies at National Parks etc. celebrating the Lewis and Clark expedition. Hello. Today's podcast is the second exhibit hall tour podcast from the 2007 NCSS Conference in San Diego. The previous NCSS 2007 exhibit hall tour is episode #123 and featured Art in History and People to People International. In this podcast I visit with exhibitors from GEEO.org, Muzzy Lane, the National Constitution Center and Independent Lens. Please be sure to check out their web site links to learn more about this services and organizations. - GEEO.org - "Helping Teachers Explore the World"
Hello. I am currently sitting in a David Warlick presentation at Union Station in Kansas City - sponsored by UMKC. I was even asked to introduce him at the start of the day - WOW! Talk about a thrill. I heard David about 10 years ago and read his book Raw Materials for the Mind and that is what started my journey through educational technology. He is my technology mentor and when I heard him speak for the first time he changed the way I have taught my students from that time on. I am currently podcasting the sessions today and will post them later. That's all for now - I am listening to his amazing presentation on 21st Century Literacy and participating in the back channel discussion. Hello. Today I stopped by two booths on the exhibit hall floor here at the NCSS conference in San Diego. The past couple of years I have done podcasts of products or services that I felt you might find interesting. Today we look at how you can incorporate art in your social studies class with Art in History and a way your classes can connect with students from around the world through People to People International. NCCS Presentation - "Using Web 2.0 in the Social Studies Classrooom"
Hello. Today I did my individual presentation at the NCSS conference in San Diego. I was really pleased with the turn out - almost a full room and I thought the presentation went well. The presentation that I did is one that I have given several times in the past couple of months and is really a survey of the ways that I'm using a variety of tools with my students. 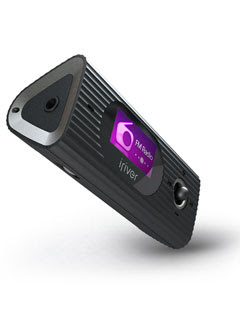 I did record the presentation with my i-River MP3 and had intended on posted it as a podcast but something really cool happened at rigth before the session started. Matt Montagne, of the Middle School Blog, asked if he could Ustream the presentation with his i-Book. I thought that was a great idea and so Matt did record the presentation. How cool is that! Click here to wach the entire presentation via Ustream. Five gold stars to Matt for recording the session - I owe you one. If you have any comments on the presentation please leave a comment or e-mail me. Hello. Today I am giving a presentation at the National Council for the Social Studies Conference in San Diego. The presentation I gave today is an overview of how I use Web 2.0 tools - podcasts, blogs, studycasts, digital video, etc. 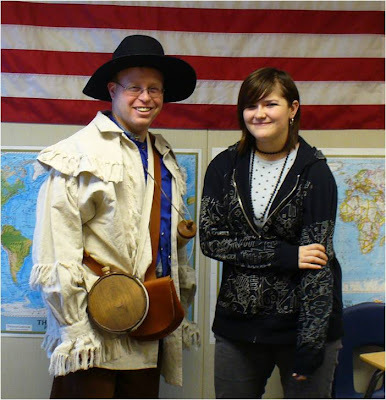 - in my 8th grade American History classroom at South Valley Jr. High in Liberty, Missouri. You can download a PDF handout of the presentation here. 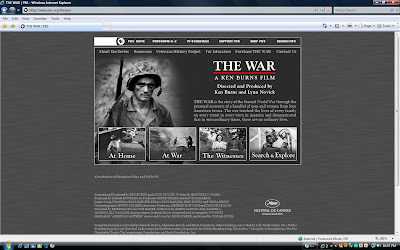 Podcast #122 - PBS Media Infusion Blog about "The War"
Hello. 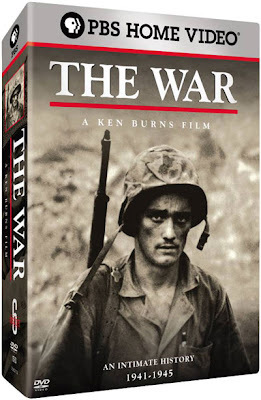 I'm sure many of you have seen at least part of the recent PBS documentary series "The War" by Ken Burns and Lynn Novick. 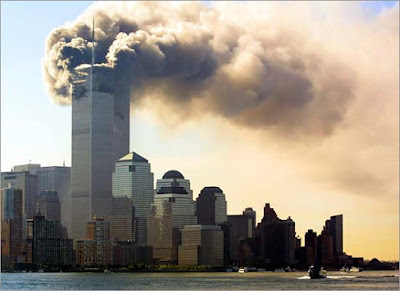 It is an amazing example of how the power of story can be used to teach history. Several months ago I was contacted by PBS to be the guest blogger for their "Media Infusion" blog. 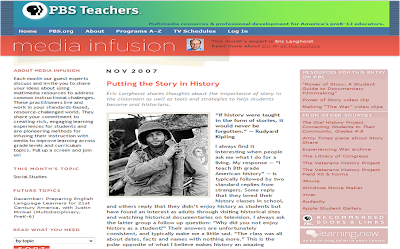 I wrote a blog entry for the month of November 2007 on using the power of story in teaching with "The War" as a foundation. Please visit the blog and post a comment. I will be answering questions during the month via the comments to the post and I'm very interesting in how other people are using stories and oral histories in their classroom. Today's podcast gives some personal reflections about saving oral histories and some projects I am working on with my students over the next semester. Hello. Thanks to the many people who have left comments congratulating us on the birth of our second daughter - Scarlet. Our oldest daughter was born 4 years ago - before I knew what a blog was or had any concept of a podcast. I didn't even own a digital camera when Addison was born but after going through dozens of rolls of film in the months that followed her birth I did buy my first digital camera. Since I have always loved to take pictures, the digital camera purchase is what my wife often calls "the best buy we've ever made". Today with the birth of Scarlet, technology is an even more transparent part of our lives. Our hospital room has wireless Internet in the room, with a faster connection than I get at most hotels by the way, so I was able to send out an e-mail telling hundreds of family and friends in minutes about our new addition. I also took the digital photos from the night she was born, uploaded them to Walgreens and in a half an hour had relatives in Texas, Wyoming and Nebraska holding photographs of the new baby they could take with them to work to show off their new granddaughter or great granddaughter. I know this technology has been readily available for years but it really hit me this week with the birth of our new baby. I also wonder how technology will impact her life, her education and her lifestyle. And if she isn't allowed to use these advancements in technology in the classroom - why not? Hello. We have a new Speaking of History listener - our second child was born tonight : Scarlet Jane Langhorst, 7 lbs 15 oz, 19.25" long. Mom and baby are doing great, dad is on cloud nine and taking lots of pictures. Wow, what a night. Hello. Some random thoughts in this podcast from the month of October. Things have been busy around here but I'm trying to keep up with the podcasts. In this podcast I will discuss several books that I have recently finished, some recent events that I have attended and some upcoming events. Hello. I'm spending Sunday and Monday at Tan-Tar-A Resort and Spa in Osage Beach, Missouri at the 2007 MITC (MOREnet Instructional Technology Conference). It is a beautiful fall day here at the Lake of the Ozarks but there will be over 500 individuals networking, visiting and sharing ideas relating to education and technology. It looks like a great conference and I'm excited for it to start. I'm sure I'll have a little time to relax over the next couple of days but I'll also be busy with 4 presentations. On Sunday afternoon I will be presenting a pre-conference workshop on podcasting and using Audacity for classroom use. Monday morning I'll be giving the keynote address - "Why My Classroom Is Web 2.0". Later on Monday morning I'll be presenting a breakout session entitled "What's On George Washington's i-Pod - Podcasting in the Classroom" and later Monday afternoon I'll do a presentation on our book blog project entitled "Hardtack to Hard Drives - The Guerrilla Season Book Blog Project". Hello. As readers to the blog discovered a couple of weeks ago, I have been very humbled to be named the 2007/2008 Missouri Teacher of the Year. The official banquet will not take place until November but some of the speaking engagements and events have started and I am keeping a Missouri Teacher of the Year Blog to help "scrapbook" the year. I will try to take pictures and include a little text of the special events that occur. I will be traveling to a variety of conferences and conventions in the next several months. Some of these events will also be added to the Speaking of History blog. Last night, for example, the City Council of Liberty, Missouri gave a proclamation in my name and declared that October 9, 2007 is "Eric Langhorst Day" in Liberty. Wow - that is just crazy! It will be a fun year full of exciting events as I represent the great teachers of Missouri and you're welcome to check in via the blog. UPDATED - OCTOBER 30, 2008 - I took video of this activity using the Flip video camera and have added the video to show how the activity works in class. Tonight the PBS special "The War" aired it's first segment on public television stations across the country. The web site is also now updated and full of features - including a special section for teachers. Podcast #119 - September 2007 Bits and Bytes -I-Pod Cases, Cam Studio, What I'm Reading, etc. Hello. Today's podcast consists of my random collection of thoughts on history, education and technology. These are all things I've been thinking about but they don't have enough information to create an entire podcast on the subject. We did a Bits and Bytes in July but did not have one for August. Topics tonight include: i-Pod case, The War by PBS, Constitution Day 2007 Video, ear phones for MP3 players to check out to students, Cam Studio, Edutopia article "Northern Lights", CNN Student News Blog and books I just finished and what I'm reading now. Please listen to the podcast and then use the links in the show notes below to learn more. Hello. On Saturday, September 15th I am giving a presentation at the "History Comes Alive Workshop" at the Liberty Memorial - National World War I Museum in Kansas City. 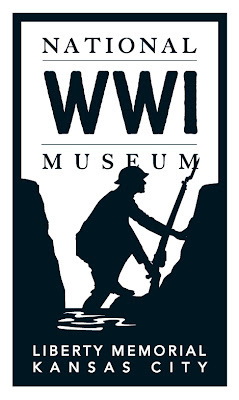 Teachers from the Kansas City area will be learning about the resources available through this incredible museum and I will be doing a presentation on using technology in the social studies classroom with some additional suggestions for teaching WWI. Kansas City Time Warner Cable, the History Channel and the Liberty Memorial World War I Museum are sponsoring the event. Hello. 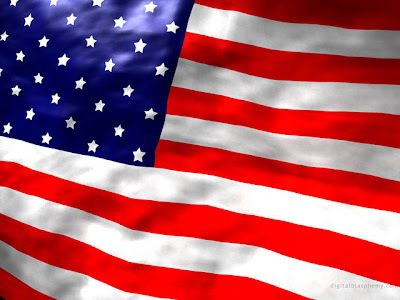 On September 17th schools across America will celebrate the birthday of our Constitution. According to law, each school in the country that receives federal money of any kind, is required to do some type of activity related to the Constitution. Last year we created a short video with students and staff reading portions of the preamble. We show it on our building cable channel during student announcements on Constitution Day. We posted it on Teacher Tube and in the past year it has been viewed over 12,000 times. This year I am working on video with a slightly different theme and hope to have it completed for viewing on Monday. Looking for ideas or lesson plans to use at your school on September 17th? In this podcast I share my favorite resources for Constitution Day ideas. We would love to hear about your plans for Constitution Day - leave a comment on this blog entry and include a Constitution link of your own. 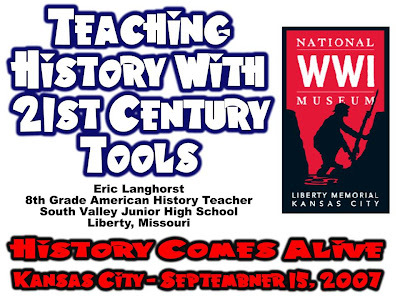 If you teach World War I history and are within driving distance to Kansas City please check out an educator workshop taking place at the Liberty Memorial - National World War I Museum in Kansas City on Saturday, September 15th. This event is being sponsored by the Liberty Memorial, Time Warner Cable and the History Channel. There will be presentations on using how teachers can use the museum's resources and tours of the amazing facilities. I am honored to have been asked to give a presentation on using technology in the social studies classroom. For more information please check out the Time Warner Kansas City page for "Teacher Workshops" and select "History Comes Alive" There is a $20 registration fee that includes lunch, breaks and a tour of the museum. Hope to see you there.